I’ve been so lucky to attend the DiabetesMine Innovation Summit for the past 2 years … and I learn something new every time. 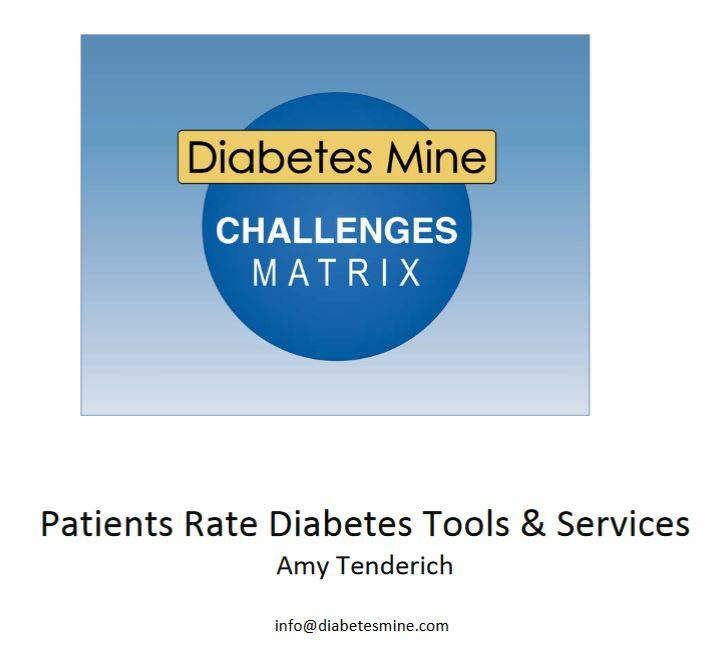 I just wanted to share with you the DiabetesMine Challenges Matrix developed by Amy Tenderich, founder of DiabetesMine. The DIABETESMINE CHALLENGES MATRIX™ is a new way of mapping the diabetes care landscape with a focus on the needs of people with diabetes (PWDs) and their caregivers. The Matrix aims to create a systematic new method for monitoring the impact of diabetes offerings in the United States in terms of patient needs, along the axes of IMPACT and ACCESS – the two most critical factors in any offering (product or program) that’s meant to help patients best manage their diabetes. In essence, the Matrix creates a “scorecard” for the patient community to rate all the available diabetes tools and services. Keep in mind: It’s all about the real‐life Usability Experience! Here the link to read the report. Feel free to share any thoughts or comments.